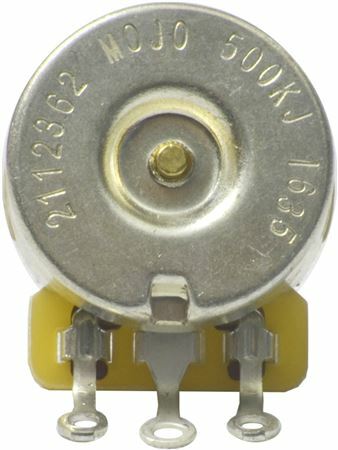 Shop Mojotone 2112362 Vintage Taper 500k CTS Short Shaft Potentiometer from AMS with 0% Interest Payment Plans and Free Shipping. Improve the sound of your guitar with the Mojotone 2112362 potentiometer. 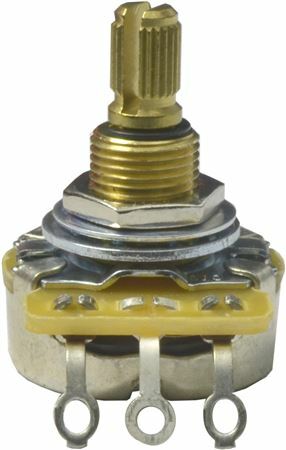 These Mojotone pots feature a 30% taper which is superior to that of 10% taper potentiometers. Every component in your guitar is just as important as the next so we made sure we could provide you with the best possible pot for a beautiful and versatile sweep. Mojotone didn't look over a single detail and you won't find a better quality CTS potentiometer anywhere! Use these all the time, great taper, quality product. Low quality, the board snapped right off.